This is the basic token, it´s for getting access to data “as App“. You will not get any user data with this one, but you can read the stream, the events and the albums of a Facebook page. You don´t even need to be admin of that page, but you can NOT get those channels without any Access Token. Boom! That´s the App Access Token already. Just be sure not to share it with anyone, the App Secret should never be available to a user. This is the most common Access Token, you only get it by authorizing the User. This is the one you need when you want to post stuff on the timeline of the User (please don´t create Spam Apps! ), or if you want to get User information (Name, Facebook ID, Albums, Movies, …). Best practice is not to redirect the User immediately when he opens your App and did not authorize it yet. The User does not know what the App is about, so you better require authorization right when you REALLY need it, or you present an intro page to tell the User why you need his authorization. Of course this will only work if you got a standard User Access Token already (see section above). Apart from calling the “setExtendedAccessToken” function, there´s nothing else you need to do. You may want to store the Access Token in a database if you need to call the API on behalf of the user while he is not online. Which is the only reason why you would even want to create an Extended Access Token. Remember, user tokens are always limited to 60 days max – you can´t just request a new token with a cron job, you can only get a new Token with User interaction. From now on, each call to the API will use the Page Access Token. And that is exactly what you need if you want to write something on your Page wall as the Page itself. Result: A list of all your Pages, including an Extended Page Access Token for every Page. This post has been a great help for me. Thank you very much. Great article! It really helped me. You have not explained about access token with expire=never (long lived access token). actually, i did explain extended never-expiring access tokens, see “Extended Page Access Token”. One question, I would like to gather reviews from a list of pages that are not owned by me. Does this mean that I have to request for a page access token from each page and does that mean that the admin of each page has to grant that access token? hi! for reviews from other pages, you need a page access token. and that one you only get if you are admin of the page. so it is impossible to gather reviews/ratings from pages you do not own, unfortunately. well, as long as you don´t just copy content (google does not like that) and always link back to my blog, i am ok with it. Spent numerous hours on how to get Page values, facebook page data after authentication but couldn’t found any help. Thankfully i landed on this page and it was bang on. After authentication save the token, page token in db and make a separate call to this function to get Page specific data. I hope this will help someone finding the same solution. 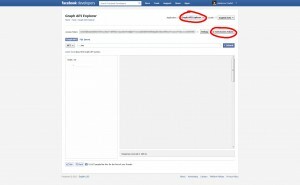 I’m using extending access token via facebook php sdk v3.2.3. How can I auto retrieve access token? which extended token? user token, i assume? you can´t auto retrieve a new one when it expires, it would make the whole concept of extending useless. user tokens are not supposed to get used if the user did not visit your app in more than 2 months. Very helpful post indeed. Way better then the documentation Facebook provides. Thanks for clarifying my doubts about Facebook’s access tokens. Now that Facebook PHP SDK v5 is out, are these codes still valid? The difference between SDK 4 and SDK 5 is not that big. So to have your app read pages that are both public and restricted (location) I will require a page token & app token? The app token works sufficiently to get all public data but cannot access restricted pages based on location. In your opinion which would be better to use as default in my application. The benefit of app tokens are that I have never needed to renew them as it seemed it renew by itself. Is the amount of data retrieve via the graph api the same with all tokens? you do need a page token for restricated pages, yes. app tokens are not related to a user, that´s why. extended page tokens are always better, and you do not need to renew them. as you can read in my article, they are valid forever. app tokens are just “app-id|app-secret”, there´s nothing to renew because those things will most likely stay the same in the app. but again: use a page token if possible. I want to create a web service or API that provides a user a login window where they will enter their credentials. I want to then create an app on their behalf in order to acquire user and page tokens on their behalf. This will then be used by my apps to allow them to interact with certain pages. Is this possible? If so do could you perhaps outline how I could go ahead and do this? I have just mentally scoped this out and do not yet have any idea how to code this, but just want to make sure its possible. Appreciate your response. found this on another site and not sure what it is used for. which url is used to request a page token from a specific restricted page or do I use the user token and make a normal feed request to that page using the ID? that link from another site is very old, publish_stream does not exist anymore. anyway, to get the page token for one single page: /page-id?fields=name,access_token – or for your example: graph.facebook.com/sourz.de?fields=name,acces_token – you need to use a user token with the manage_pages permission though, and it´s “graph”, not “www”. Thank you. Yes sorry that was a copy paste error. 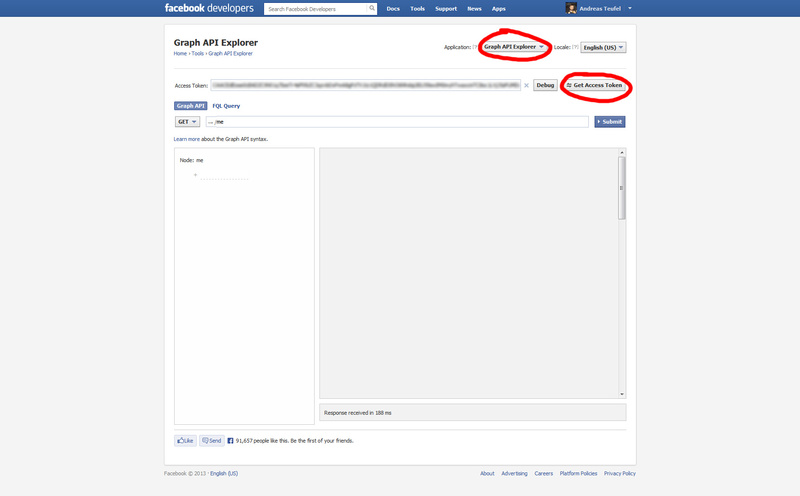 I tried what you suggested on the page access and was able to get the feed after getting the user token via the graph api explorer tool. Just so my understanding is correct; looking at the user token itself, if I do not include manage_pages, I am still getting the data feed. Is there a noticeable difference in the page and user tokens format? Is it possible to distinguish between the two? Also the long term token I received had a expires date, which is in this format &expires=5184000, is this supposed to be seconds? Finally, I promise to stop bothering you after this, I created a login button and tested using my own account and after logging in, the login window closes and I do not see the user token. Is there an explicit controller method I need to create? some things are only possible with a page token. for example, reading the ratings of a page. i believe the expire number is a timestamp of a future date. in you code, debug the response of FB.login to see the user token. How to get all friend’s feed from facebook graph API…I wanna access an user home page feeds for my app. As “read_stream” permission is no longer working, i have “user_posts” permission approved. But still i am not able to access friend’s posts on my wall….Appreciate your response…. you can´t get the whole feed anymore. you can only get posts of friends made on your wall. that´s all i can tell you, if you need more information you should post a detailed description of your problem on facebook, including your code. How to get page access token without login ? that is not possible. of course you need to login to get a page token, else facebook can´t know if the page belongs to you. and of course you can only get a page token of pages you own. That is kind of a stupid requirement, you would have expected the access token to be available from your page management screen. That’s how they would know if the page belongs to you. I’m trying to write some code that only interacts with a page, and I don’t see why I need to implement the user login just to get the token for a page. without user authorization, facebook does not know which pages belong to you, that is why. you can directly request a page token in the api explorer though. Thanks for your informative post! Much easier to read than Facebook docs. I want to use an App Access Token to pull images down from a Facebook page’s album. Main reason is that I don’t want to bother user to login to Facebook everytime they want to view the page (or when the user access token expires). hi! you should never do this client side, tokens should alway be kept secret and if you would use the app token…well, then you would allow every user to see the app secret. it´s called secret for a reason 😉 – a user could change app settings with it, for example. so php with curl is definitely the way to go, but you should cache the results in your own database too. don´t make the same call for every single user, or you will hit api limits sooner or later. for example, if a user hits the page, check the timestamp of the last api call in your database, if it´s too old then use the graph api to check for new entries. Hi Andreas, thank you for this post. I’m using c# istead of php, but I can normally obtain same results. If I use Graph API explorer to create a page token and use manually that from my APP I can publish without any problems. I noticed, examining the token with the Access Token Debugger (https://developers.facebook.com/tools/debug/accesstoken/), that my token Never expires, the Graph API one instead has 60 minutes of life, and also Profile Page ID is the same, but the User ID (both with my name) is different. Of course I’m administrator of the page. publish_actions is for posting as user only. if you want to post as page, you need publish_pages. maybe that is the problem? the user id is app scoped, it will be different per app. make sure you have a page token with publish_pages, you know when it is a page token if the page id shows up in the debugger. i hope that helps! but it gives many error please help in correct this query. you need to be more specific. what errors do you get exactly? you may want to reduce the amount for those limits, i guess that would be one problem. I get an error asking for “publish_actions” wich makes no sens. If I also get “publish_actions” the post goes online, but is posted to the page as the user/admin speaking. you are most likely using a USER Token, not a PAGE Token. You get a Page Token by authorizing with manage_pages and publish_pages and then using /page-id?fields=access_token or /me/accounts?fields=access_token – if you want to get tokens for ALL your pages. There is nothing I can do with it, since the SDK chooses wich Token is used and I cant change that Variable to the Token i know i need. If have the Perms, but the SDK still uses them with the wrong Token. Thats what I cant figure out. yes, I’m sure that’s the case. I have the page token, but I don’t know how to tell the SDK to use it. is that an official sdk? you should contact the creator. Thats why I thought I just had to be doing something wrong. Hi Dear, thanks for your page. I can publish and read the token, but when I publish my link, it doesn’t seems in the feed and show for me as visitor. Do you know what is happening? you are probably not using a page token, but a user token. or your app is not public in the app settings. Hi thank you for this post! I agree with other readers, it’s much better than Facebook’s own docs. Would you kindly help me understand what could be the issue? Many thanks! the pipe sign in the token looks like you are using an app access token, it can´t work with that one. you definitely need a user or page token with the correct permissions (publish_actions or publish_pages). Hi I have a quick question. We are developing a platform/website where people can compare certain companies, for example gyms nearby. Now we would like to have the facebook rating displayed of all these companies but without having these companies grant us permission or having to log in. After reading a bit about it (I myself am not IT/tech person) I came to the conclusion that this is not possible, am I corrrect? Now I found a company that claims that it is possible, so I wanted to check with you since it’s clear you know what you’re talking about. hi! it is definitely not possible, you need a page token to get the ratings with the api, and you only get that one if you manage the page. may i ask what company claims that it is possible? I created the extended page access token when my account has the Page Admin role. What will happen to the token when my Page Admin role is removed?